Your first impression is usually the right one. As soon as you begin to get that uneasy feeling about their safety, it’s time to find advice, answers and solutions. Your loved ones can live safely in their own homes for as long as possible with dignity, security and safety with expert case management services from A Servant’s Heart. Even when it’s time for them to consider a long-term care facility, we can help in identifying the best choices for them and provide placement services. 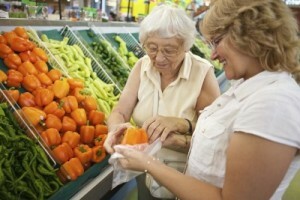 We help by providing expert advice from our professional geriatric care mangers. With expertise gained through years of experience, tens of thousands of client visits and hundreds of thousands of hours of caregiver services, we find the best solution for clients and their families.